Operating a stunning fleet of luxury coaches, Corduff Travel is an exceptional third-generation, family-run passenger transportation business built on strong ethics, keen values and excellent service levels. We travelled to their Rossport, County Mayo base and caught up with Maria and Michael Corduff Jnr. to find out more. Providing a first-class service for nigh on eight decades, Corduff Travel has established itself as the premier coach hire company operating within and from the West of Ireland. Running a truly fantastic fleet of fresh, well-maintained coaches –the most modern in Mayo - manned by experienced and conscientious drivers, they pride themselves on offering a safe and friendly, elite and luxurious private hire and touring service at an affordable price. Proud transport providers to Mayo GAA, Corduff Travel also provide passengers with prompt, reliable and affordable, Department of Transport licensed transportation services from the West to music and sporting events nationwide. Every summer, they ferry countless Mayo supporters to major GAA matches both in Connacht and Croke Park. On May 27th, 2017, they brought thousands of fans to Guns N Roses’historic concert in Slane Castle. Student transport is another key service, with regular services provided from Mayo to and from third-level colleges in Galway, Sligo and Limerick. Taxi hire and minibus services are also offered. At the heart of the operation is a spectacular fleet of first-class, RSA-approved coaches ranging from eight- to 53-seaters plus everything in between. As well as providing secure, comfortable and competitive services, the Corduffs are known and respected far and wide as decent, hard-working, customer-orientated people who put their passengers first –leaving no stone unturned in their quest to guarantee the best-possible travel solutions. Today, the proud, long-standing family business operates from hubs in Rossport (Erris), Westport (Castlebar) and Dublin; Rossport is where it all started and that’s where we met Maria and Michael Jnr. 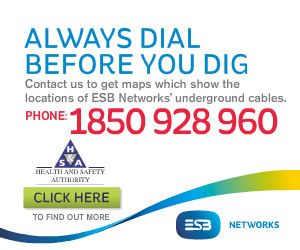 to reflect on the history and current well-being of this superior service provider. “The business was originally established by our grandfather, Michael Corduff, who started out in 1940 with a couple of Volkswagens,”reveals Maria. Founder Michael was an integral part of local community life, a man who lent himself to a bit of everything to help his neighbours out …part-time postman, part-time bus driver, full-time go-to man. His popularity preceded him and was instrumental in establishing the business in those early years. Regarding the make-up of the fleet, Michael Jnr., co-director alongside his father, Michael Snr., notes: “We have 53 vehicles this year, from eight-seaters and 16-seaters up to 24-, -37 and ’53-seaters. 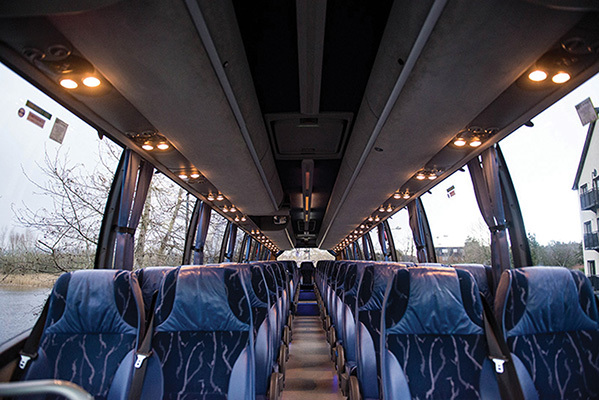 The older coaches are used for student services, while the more high-spec, luxury coaches are dedicated to private hire for football teams, tours and corporate events, etc. High-profile sports contracts with both Mayo GAA and the FAI are indicative of the tremendous esteem in which the business is regarded. “We have been providing transport services to Mayo GAA for the past five or six years, including their senior footballers, underage teams, hurlers and ladies,”says Michael Jnr. Meanwhile, the thriving tour side of the business has now expanded to cover both the UK and Europe as well as popular destinations in Ireland. More than 70 years since its inception, the business is going from strength to strength –a real testament to the work ethic and drive of the Corduff family, and a source of tremendous pride too…“It’s growing all the time and we have no intention of stopping at any stage. We feel very privileged to be in the position we’re in,”says Maria. Michael Snr., Michael Jnr. and Padraig manage operations, while Bernie takes the bookings and handles customer service. Based in the Castlebar office, Maria manages the concerts & events aspect of the business, as well as marketing. Quality is at the forefront of everything Corduff Travel does. “It’s very important,”says Michael. “The quality of the coaches is paramount and people are going for a quality experience now. They want good, experienced drivers. People like to travel in comfort. “We have a team of top-class, experienced tour drivers, many of whom have been with us for 25-30 years. We give opportunities to good drivers and they are a huge part of the business because they are our point of contact with the public and deal with customers on a day-to-day basis. “We’ve been here for three generations and a lot of work has gone into the business during that time,”Maria adds. “Our grandfather did the groundwork and then my mother and father continued on and built up a great rapport with people here in the West of Ireland.